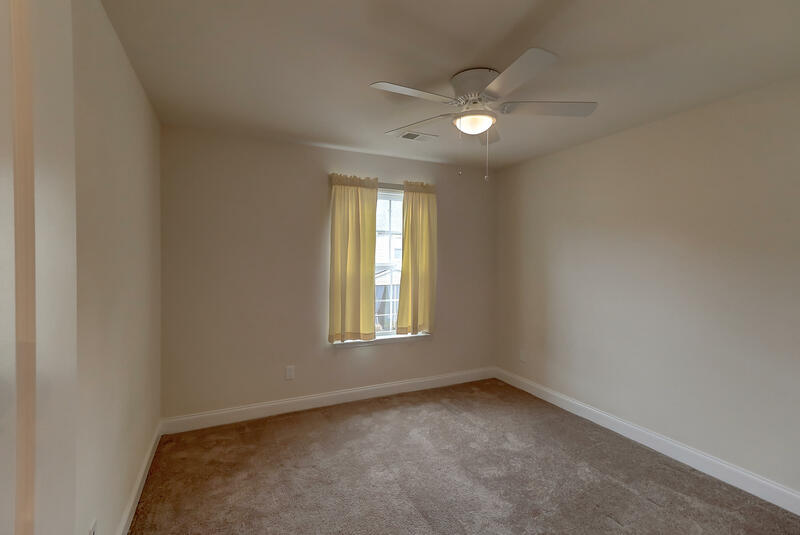 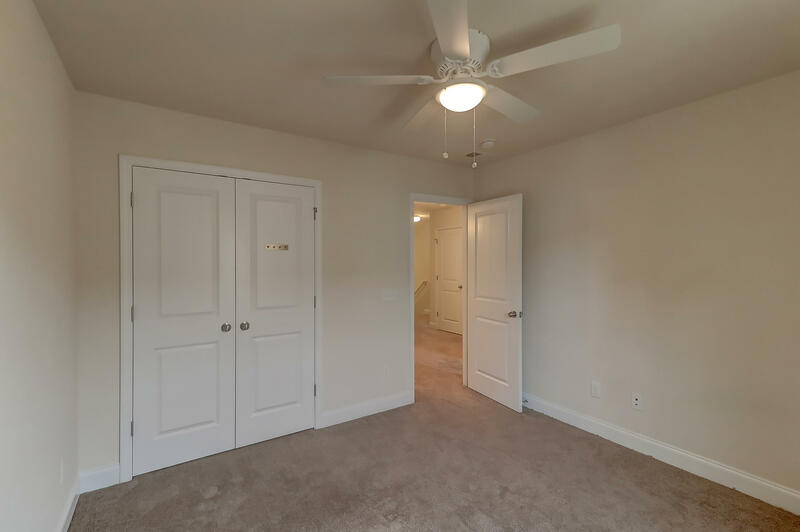 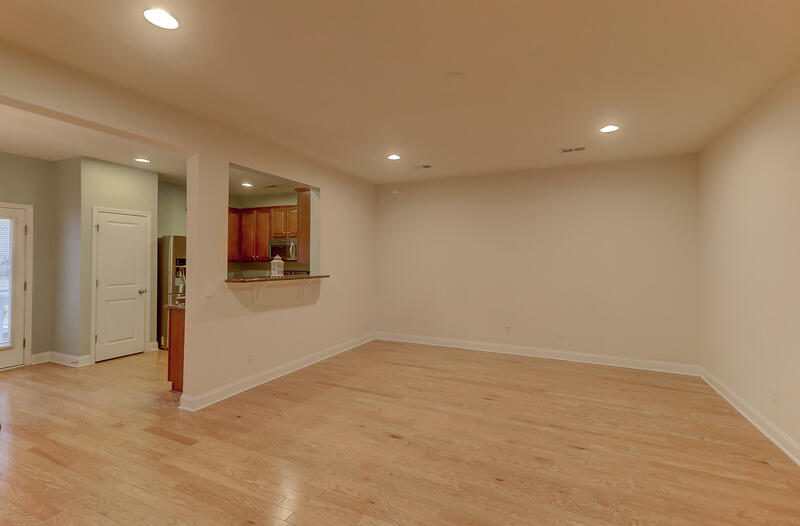 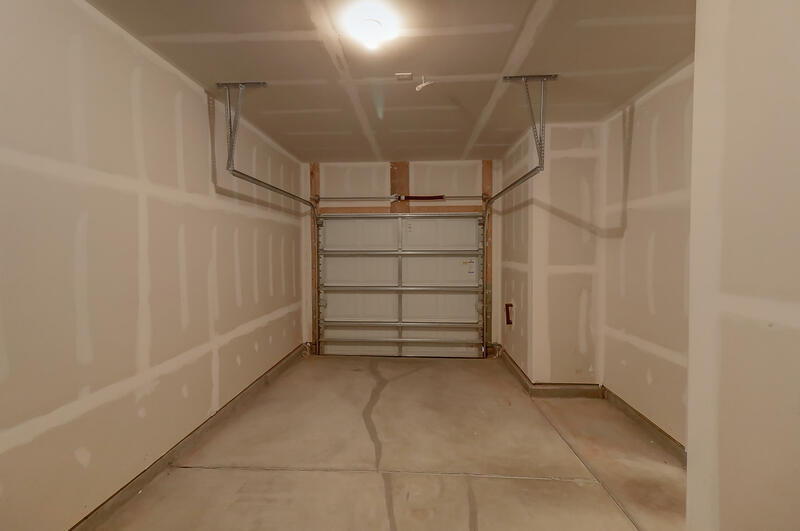 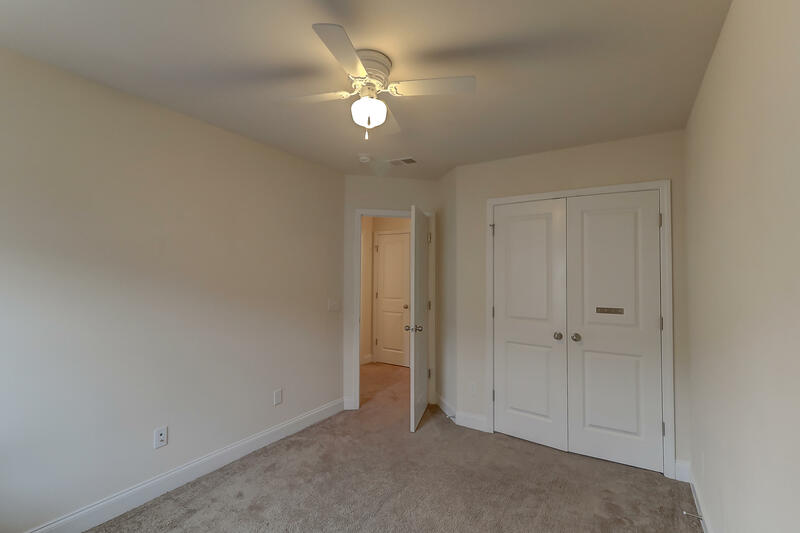 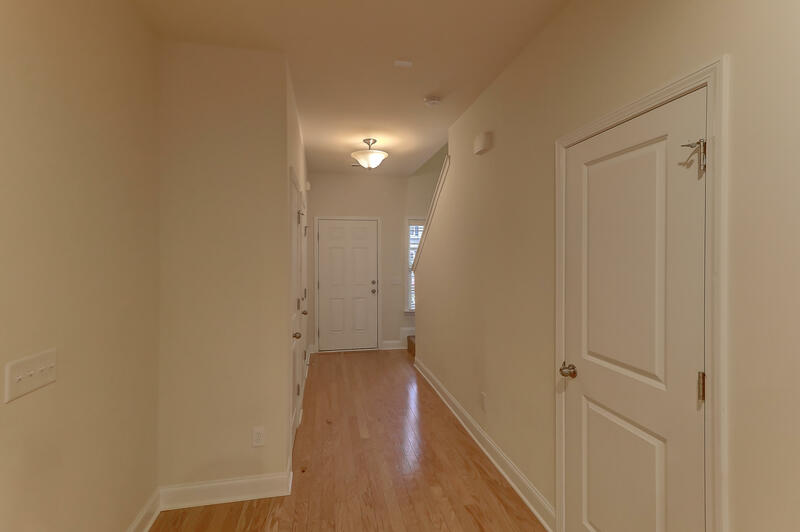 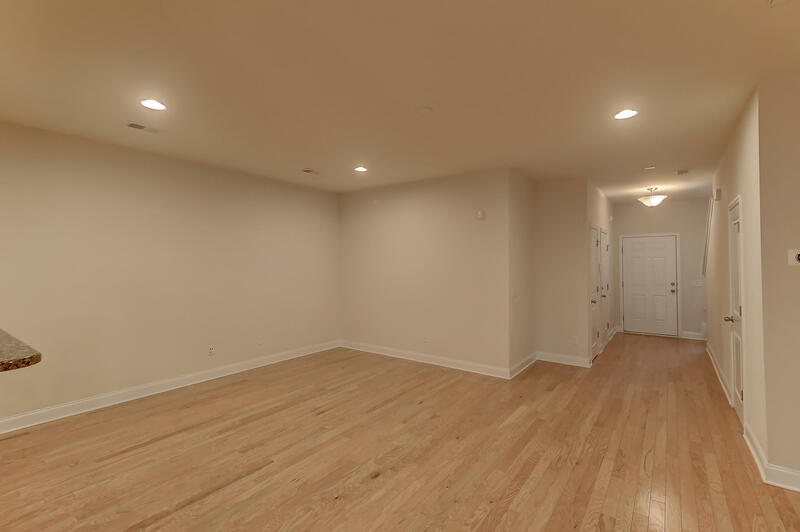 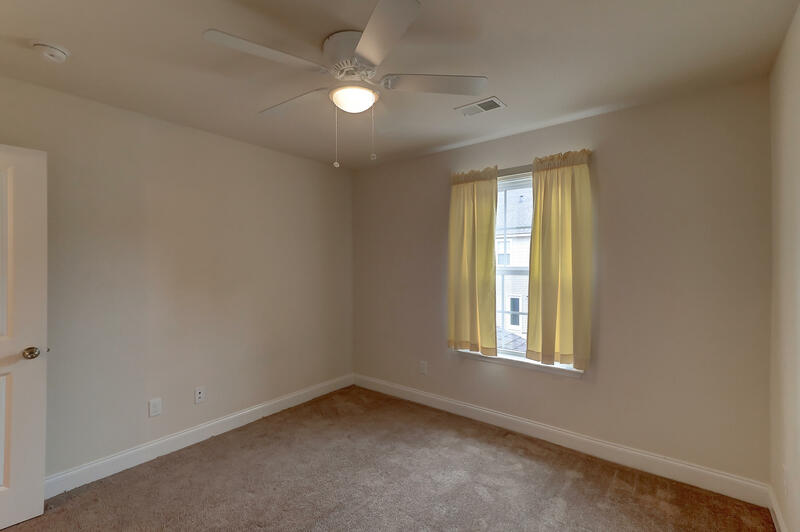 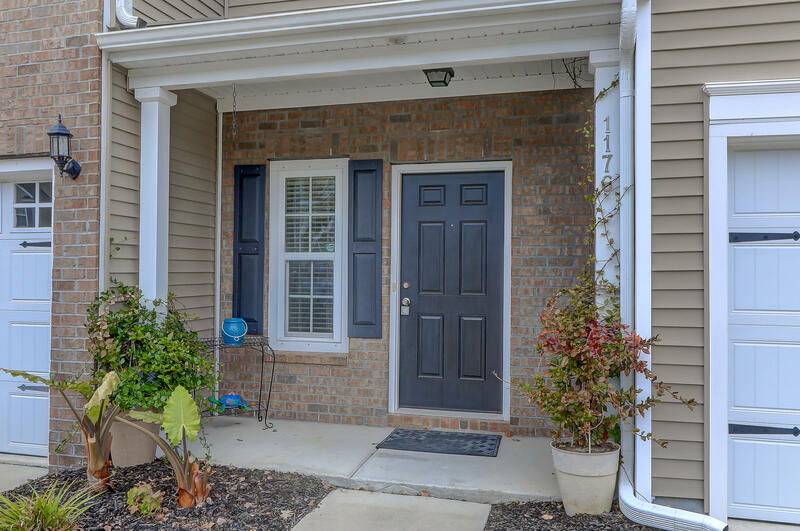 This townhome features a spacious open floorplan for easy everyday living and many thoughtful upgrades. 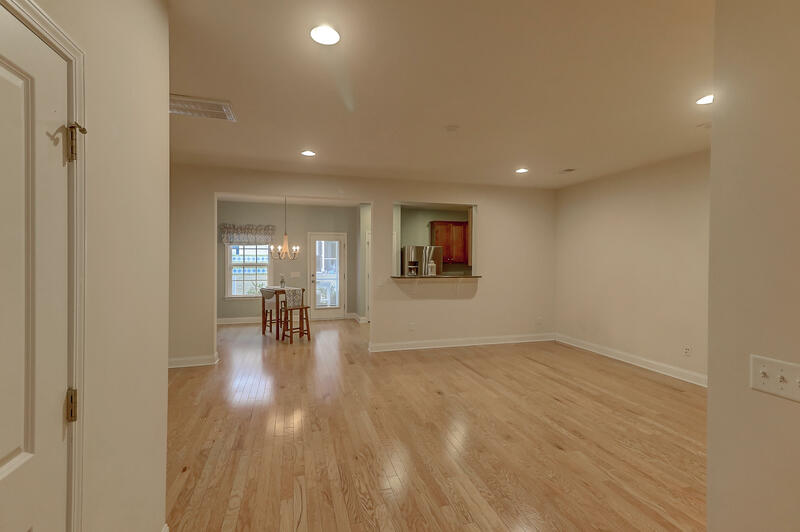 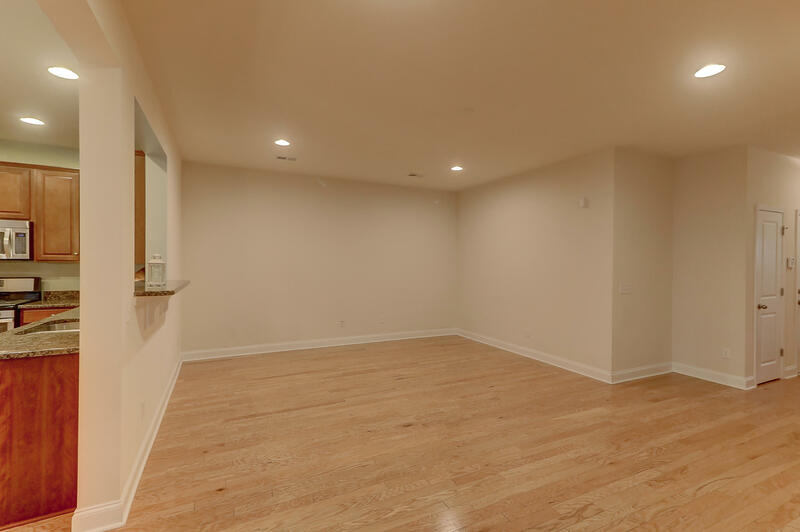 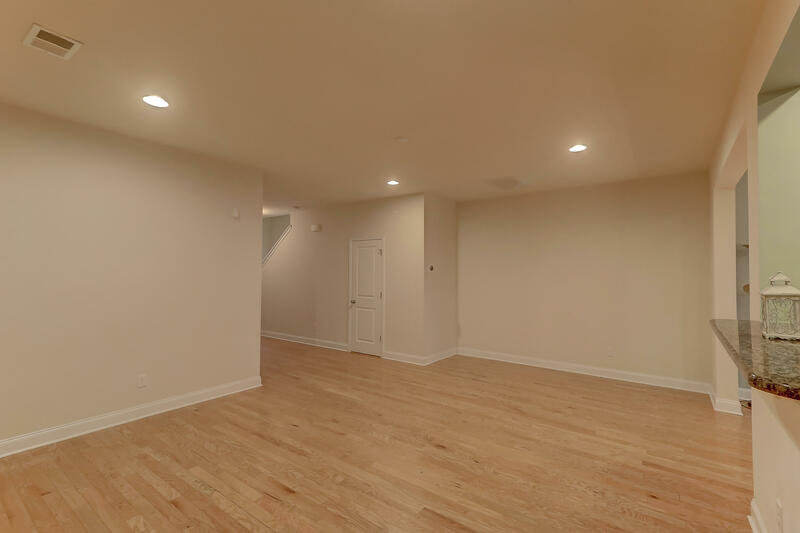 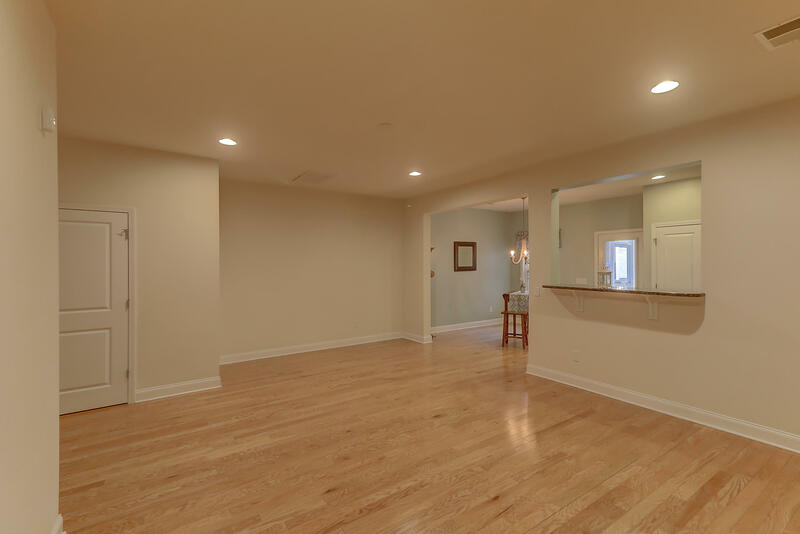 Wood floors throughout the downstairs add warmth and make for easy cleanup. 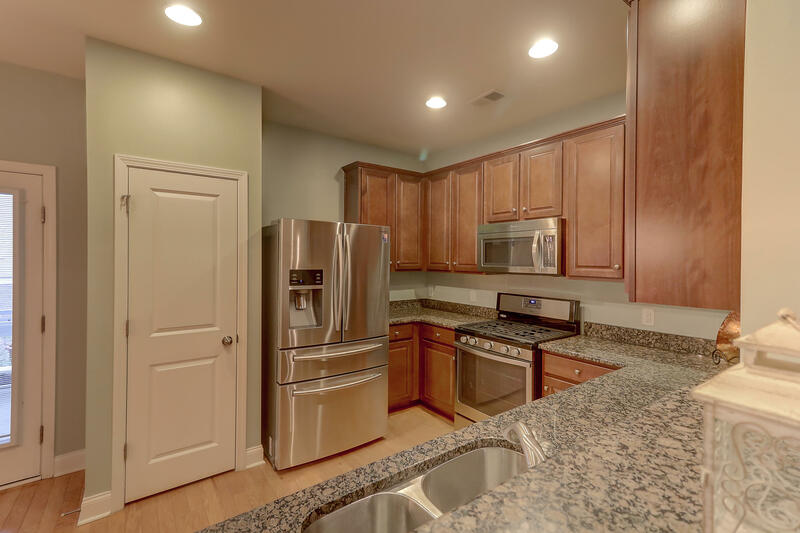 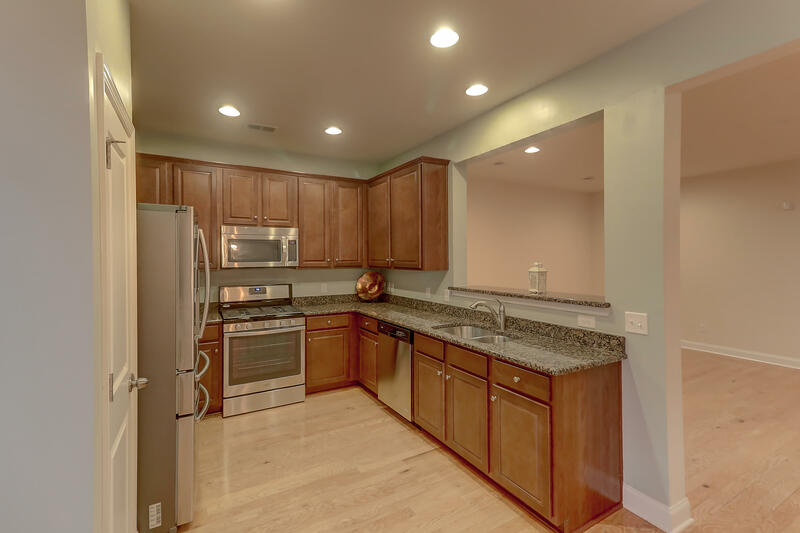 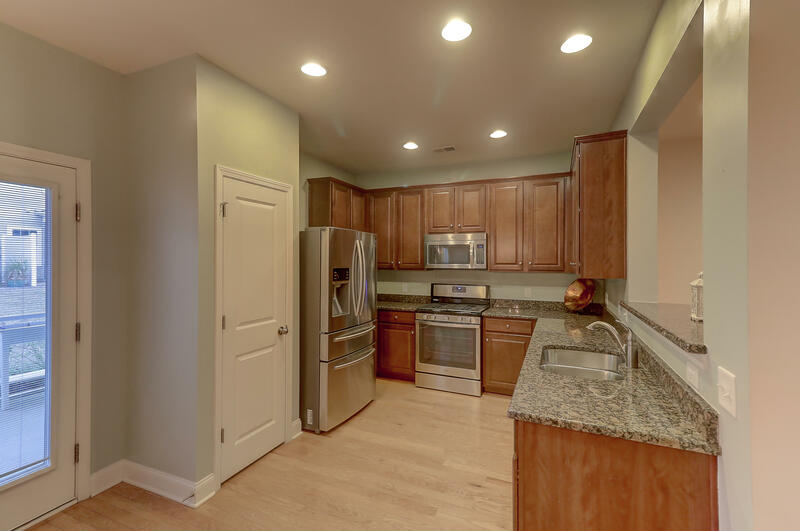 The kitchen looks out onto the living room and dining area boasting granite countertops, stainless steel appliances (fridge conveys!) 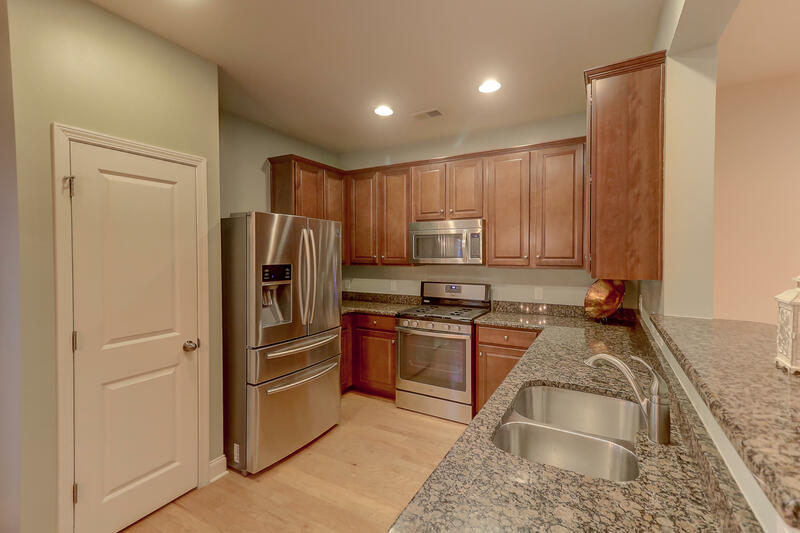 and ample cabinet and pantry space. 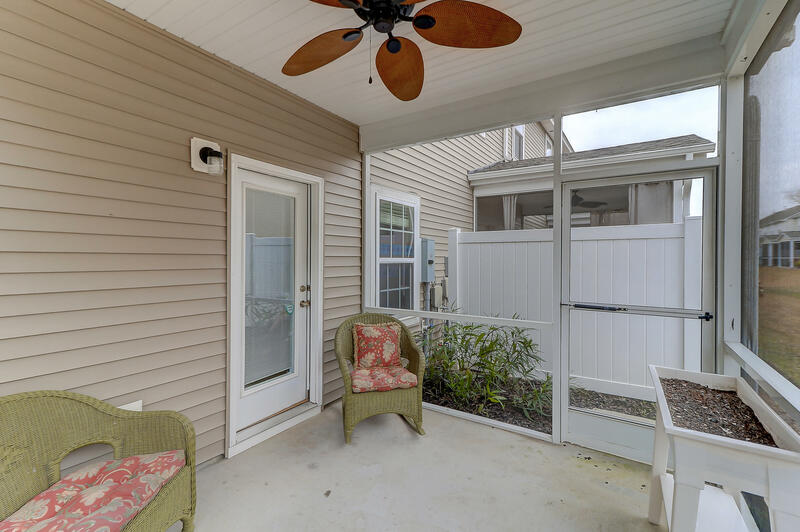 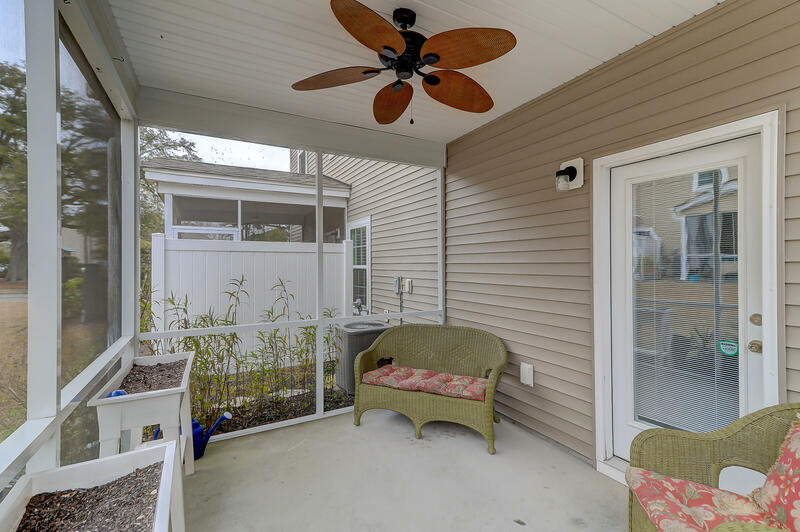 And the screen porch provides a great space right off the kitchen for outdoor living. 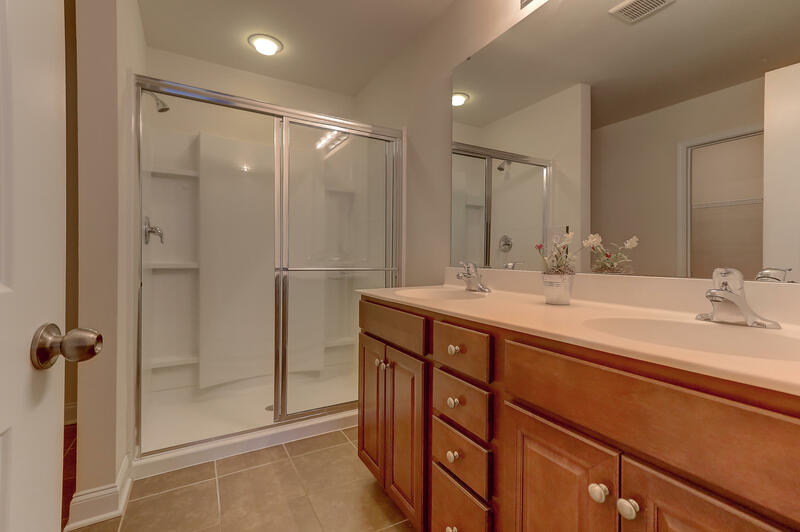 Upstairs the large master suite is set apart with a tray ceiling, walk-in closet, dual sink vanity, and large shower. 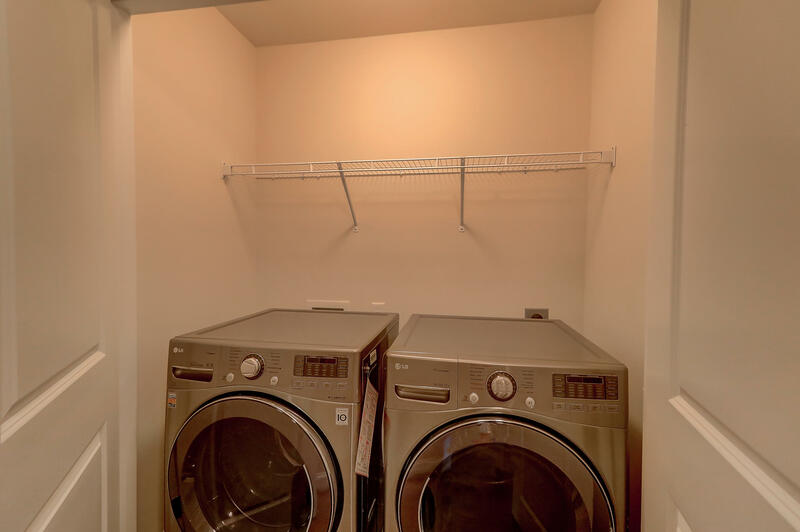 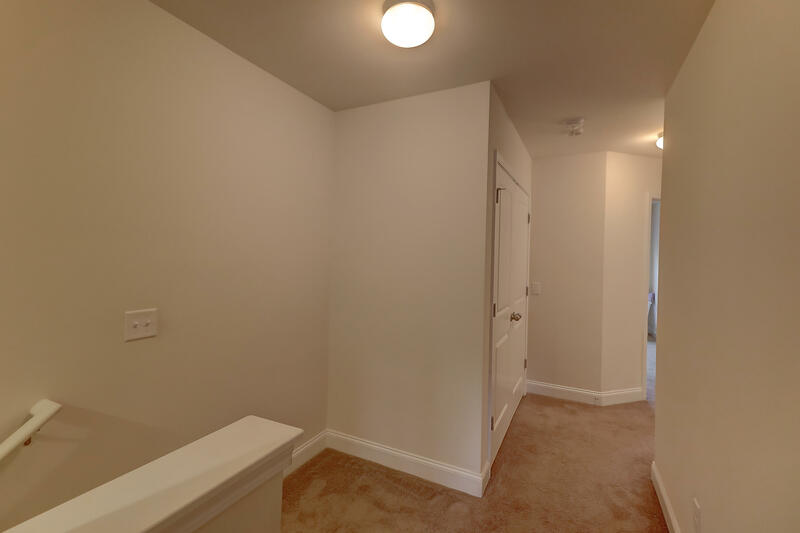 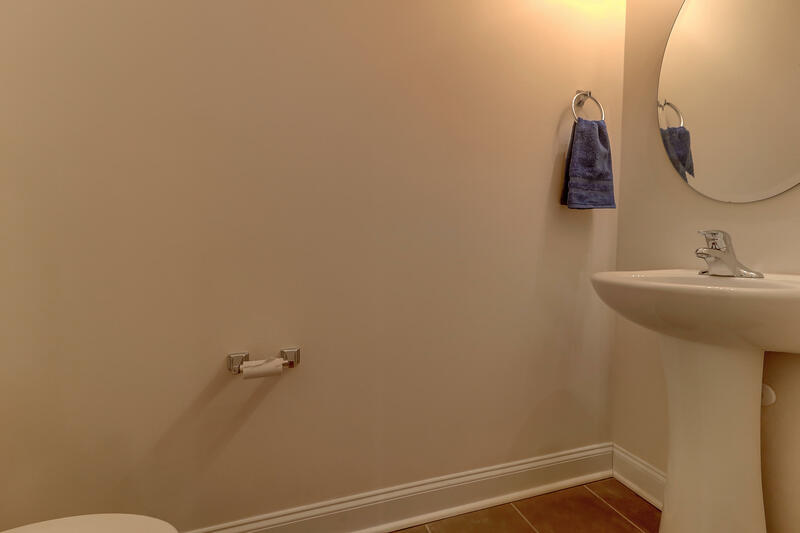 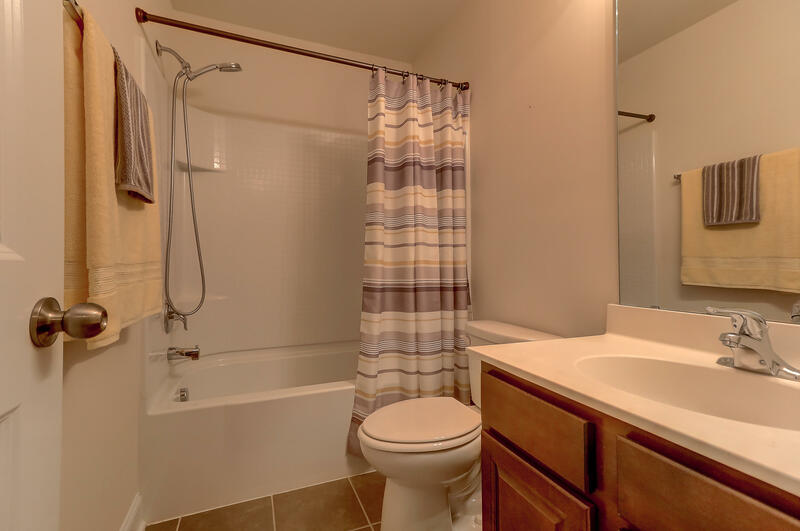 The two additional bedrooms share a nice sized full bathroom and the upstairs laundry (washer and dryer convey!) 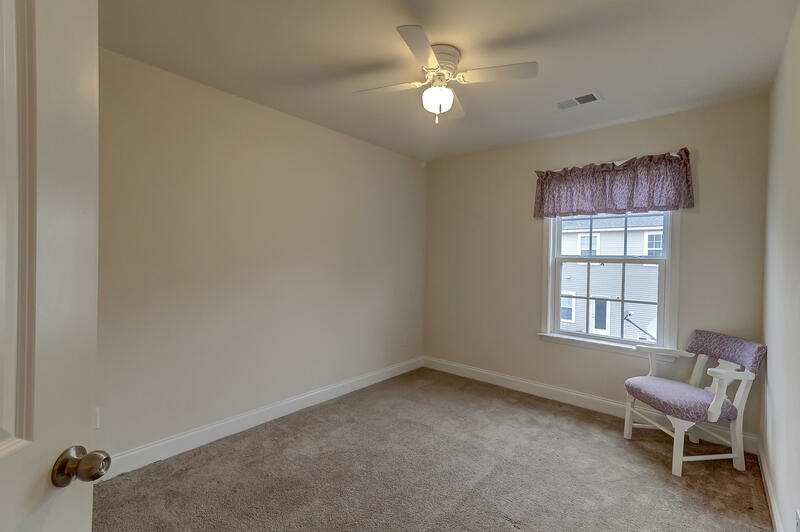 is very convenient.This home also offers Nest thermostats and CAT6 wiring. 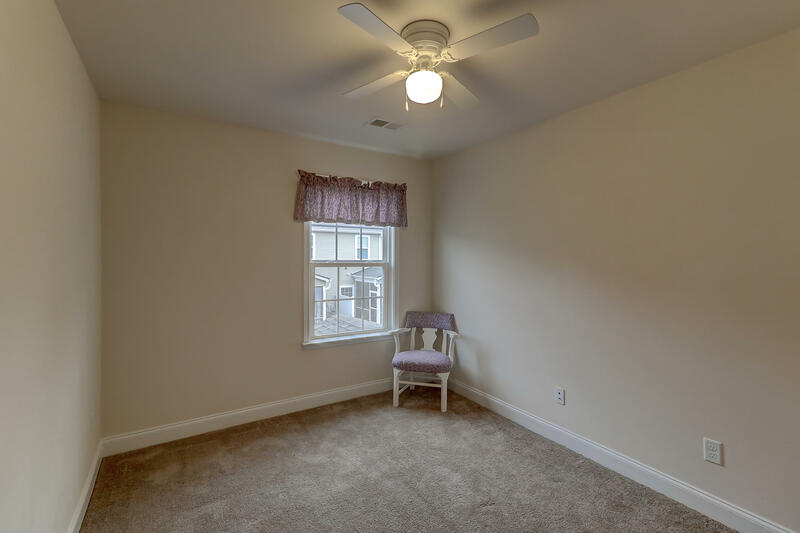 All this in the charming Cain Crossing. 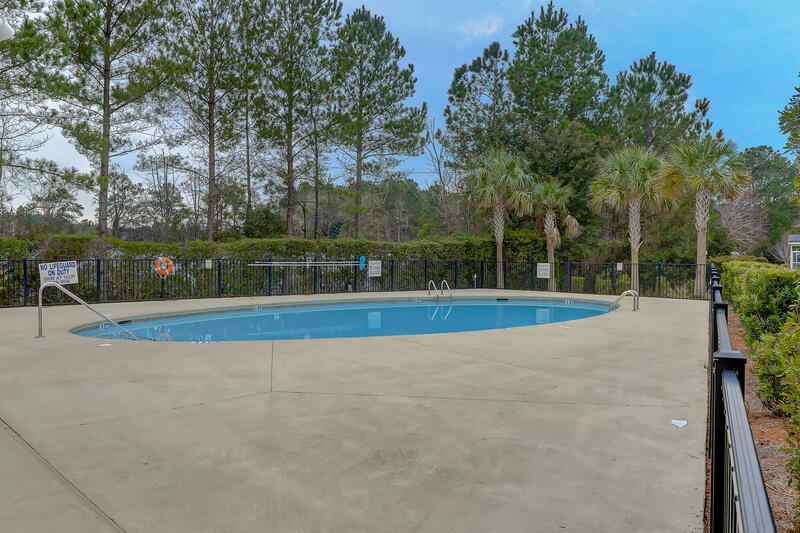 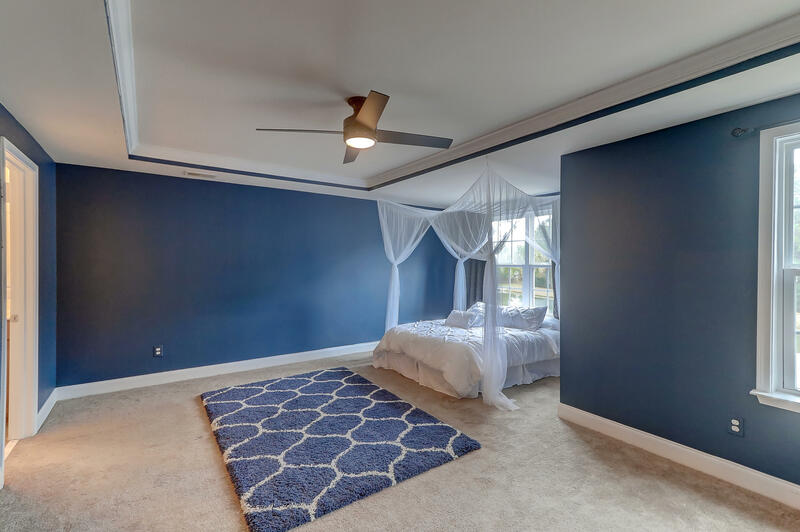 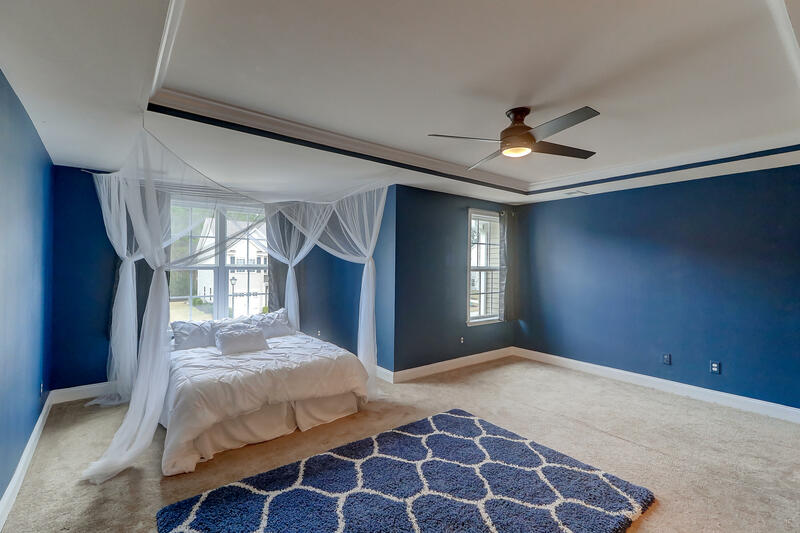 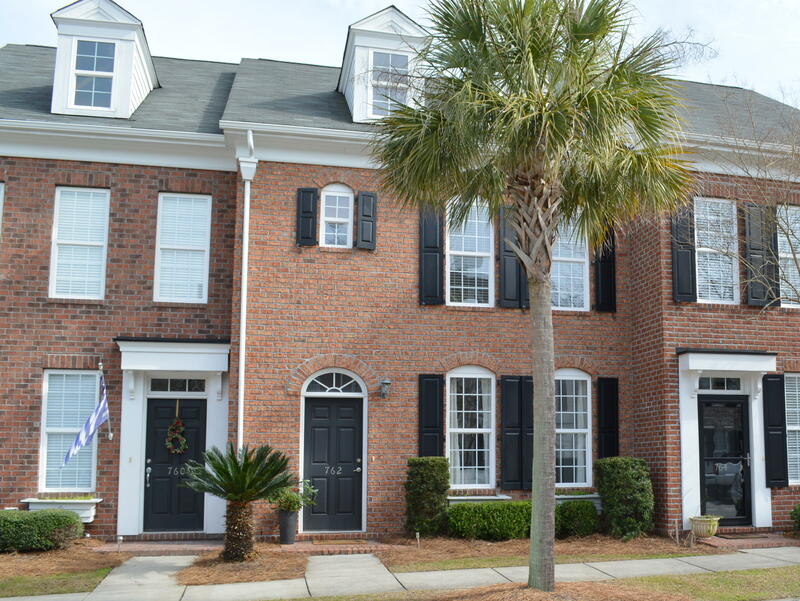 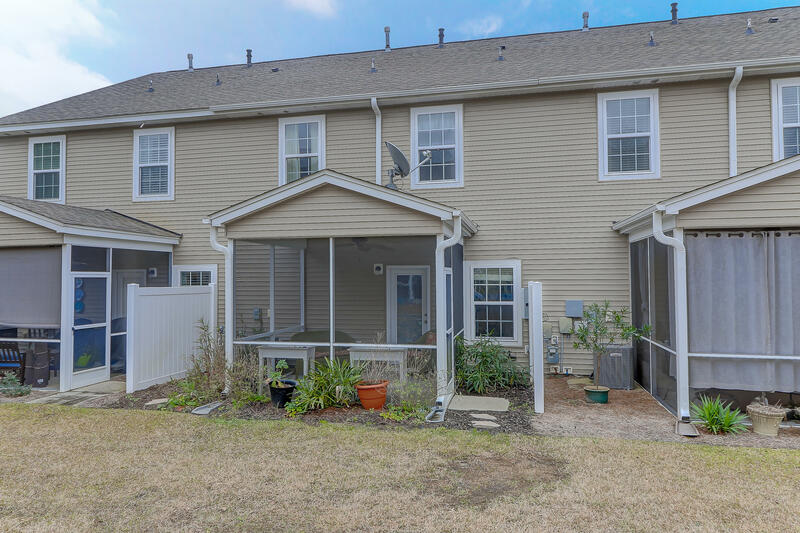 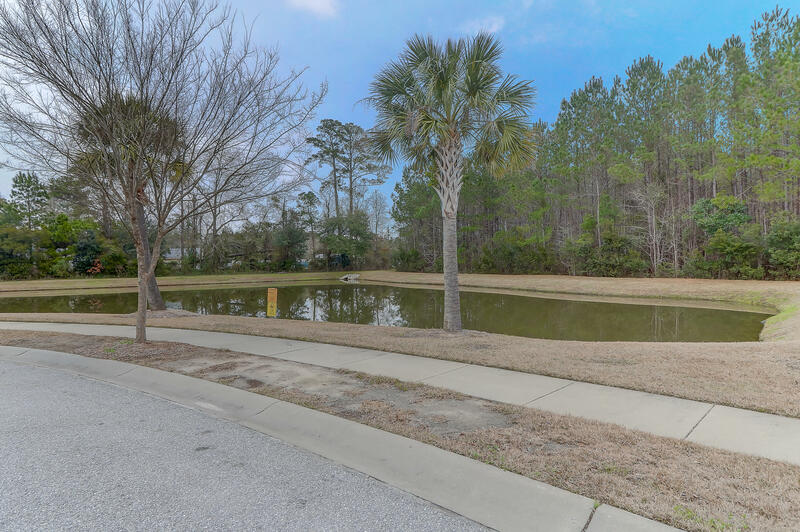 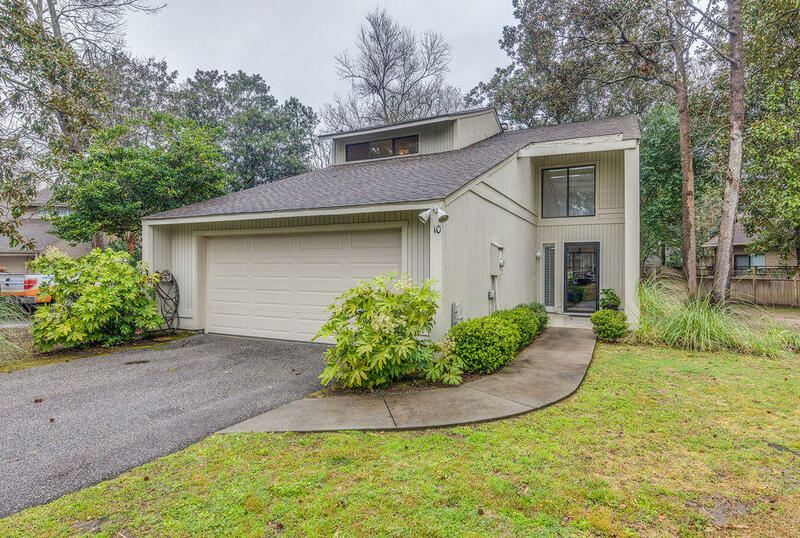 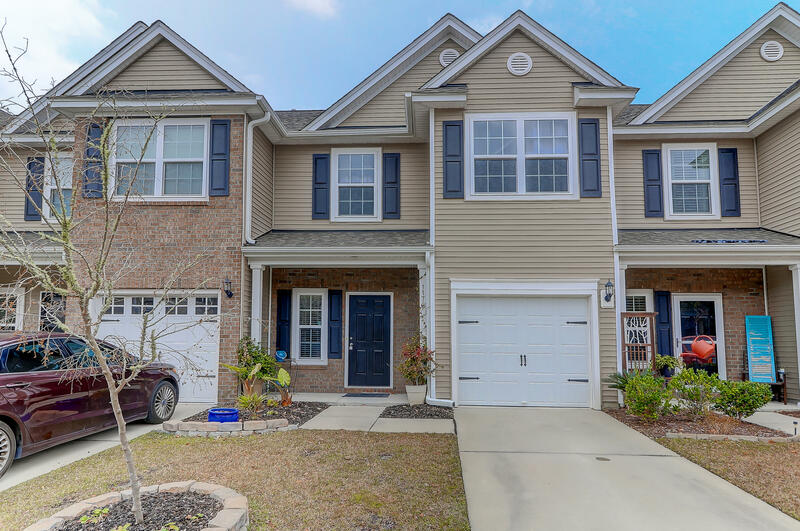 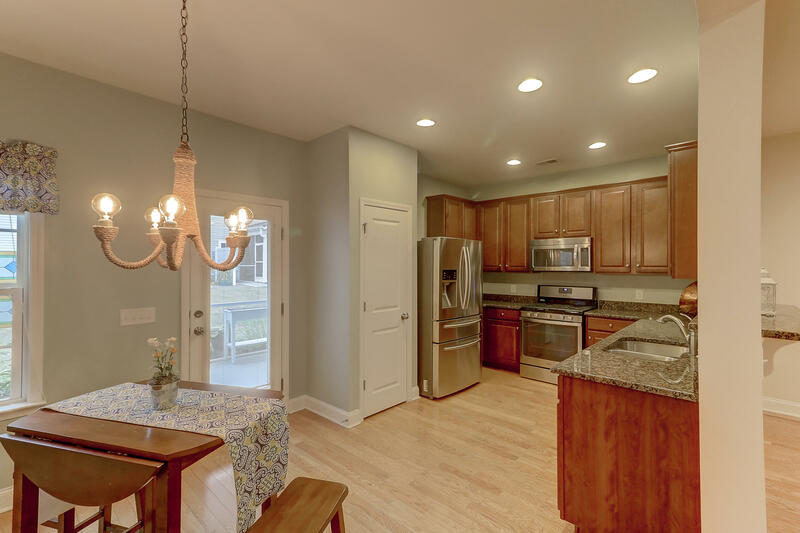 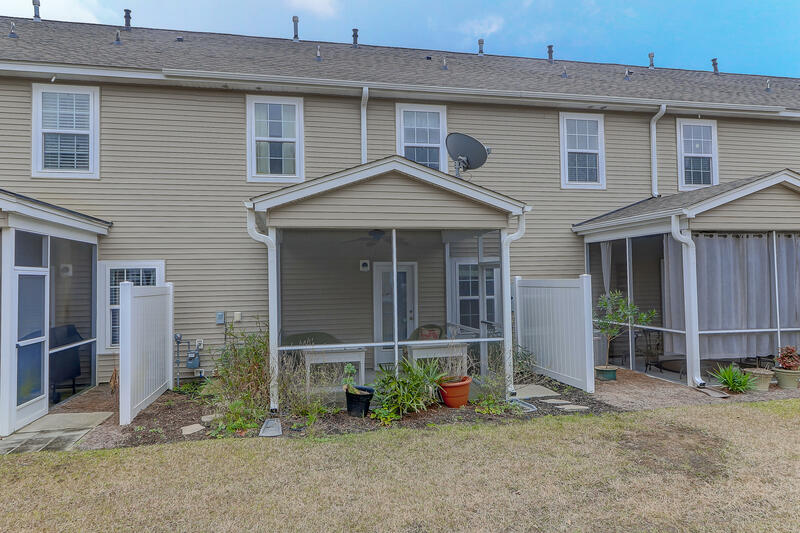 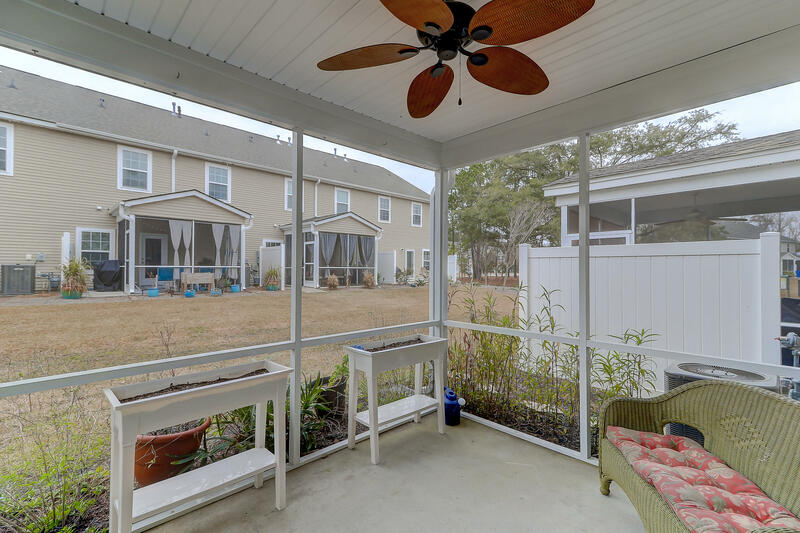 Located close to many new restaurants, the marina, waterfront baseball fields, and the new Lowe's Grocery on HWY 41 and straight access to Daniel Island and 526 Cain Crossing provides a great value and includes a neighborhood pool, dog park, sidewalks, and ponds. 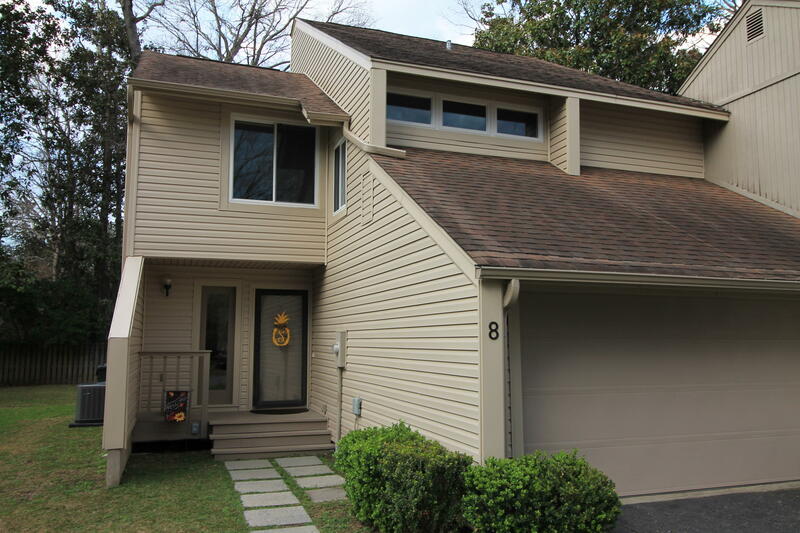 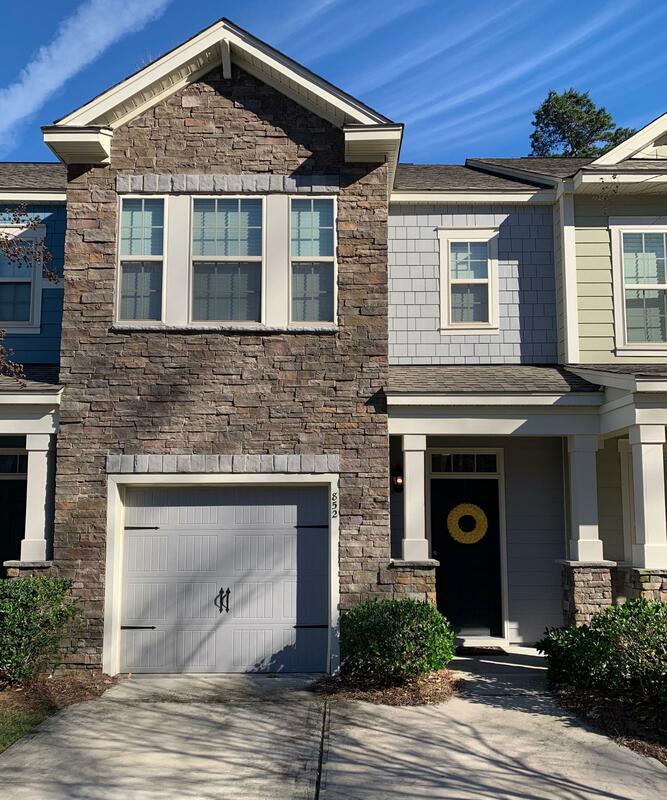 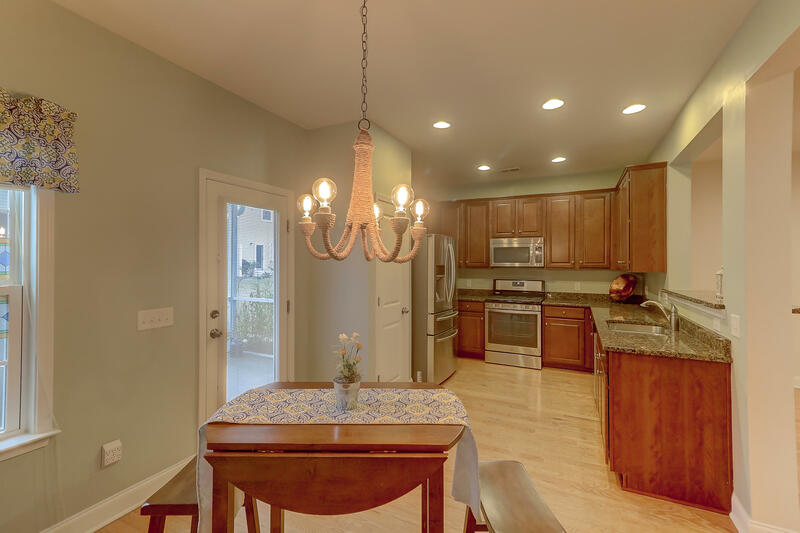 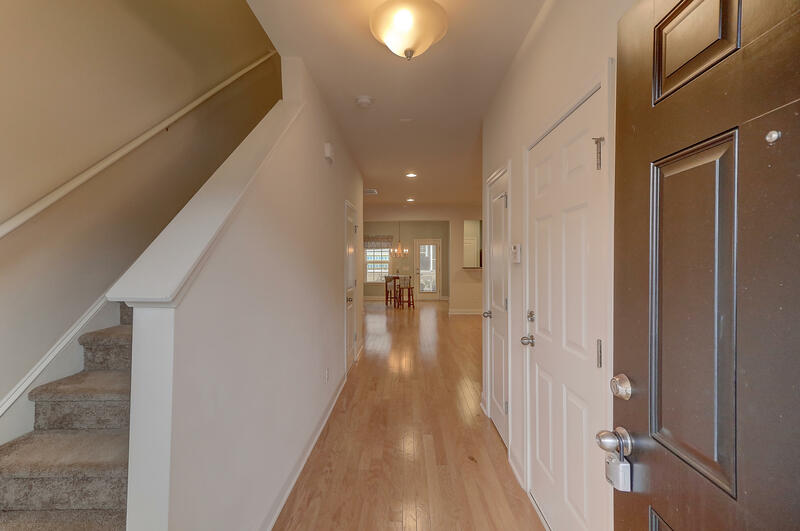 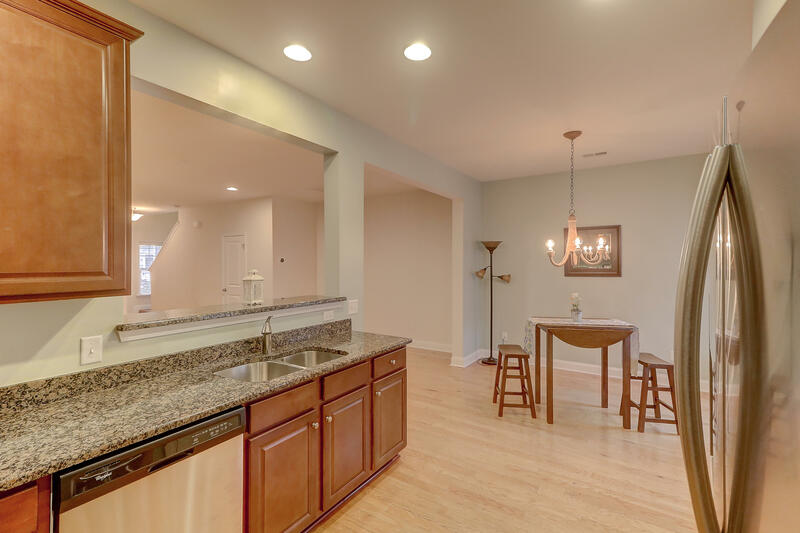 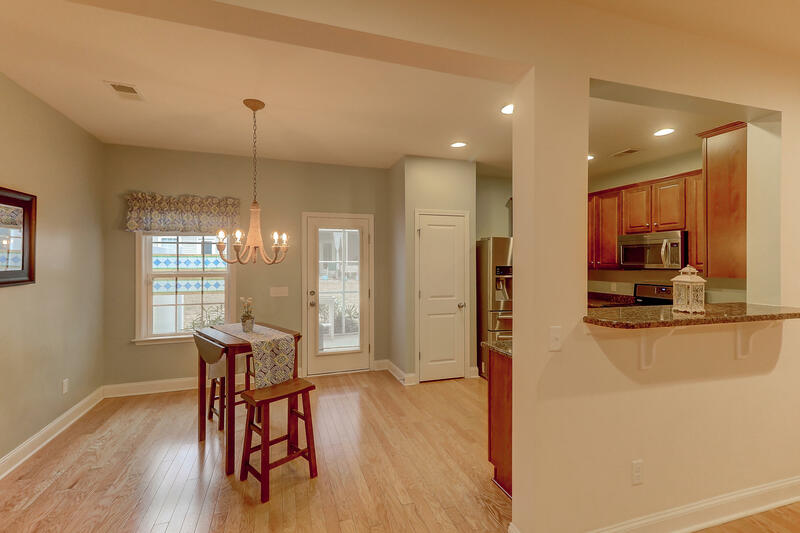 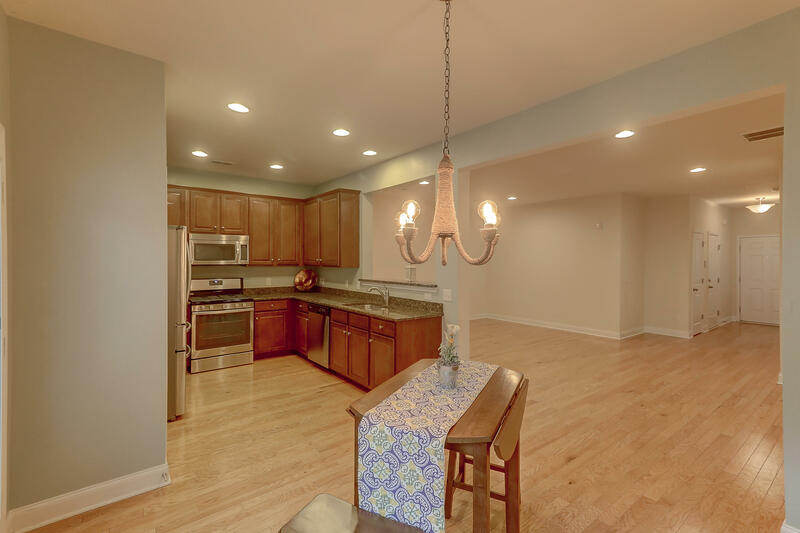 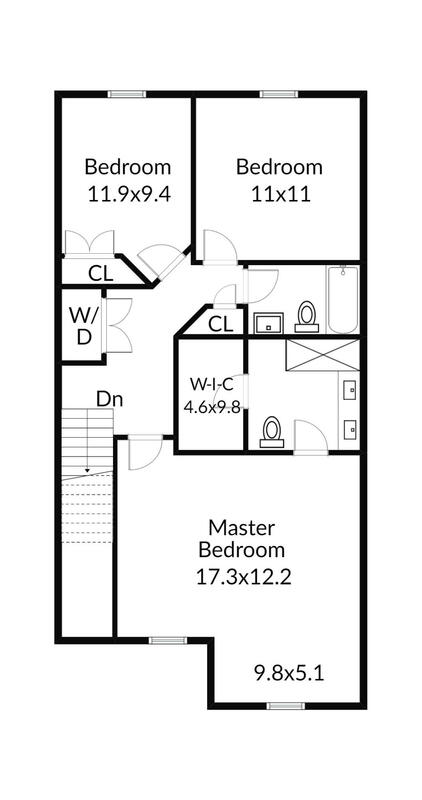 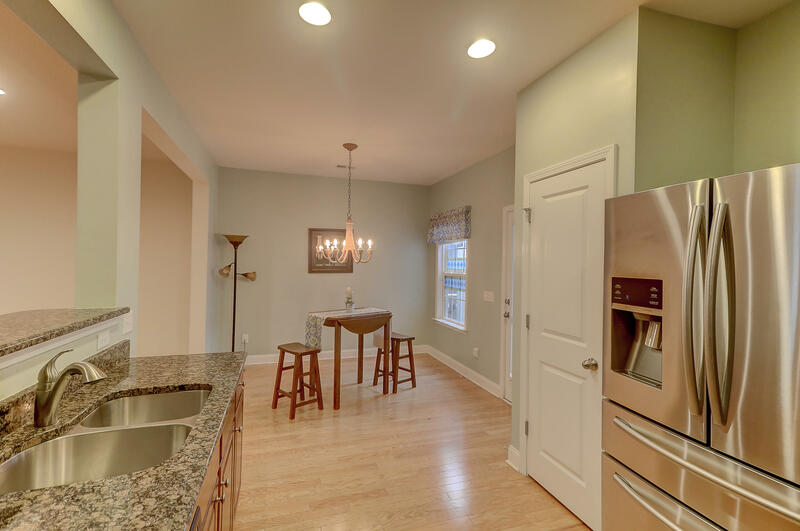 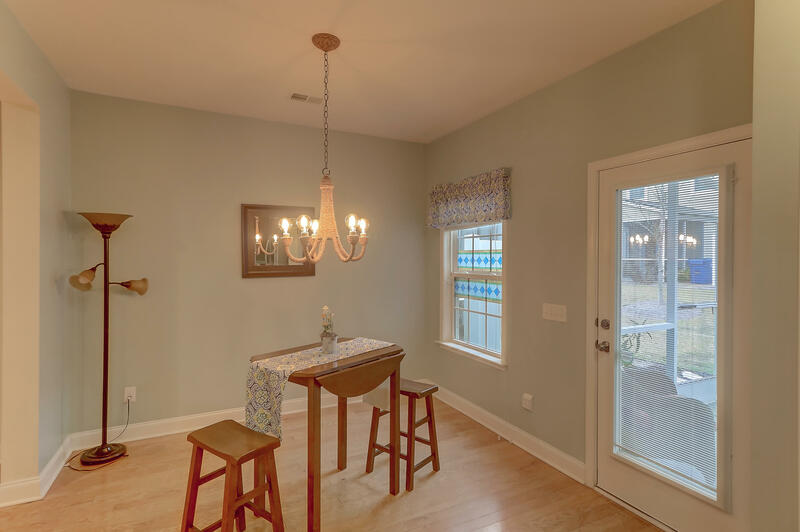 Check out the online floorplan for this charming and upgraded townhome. 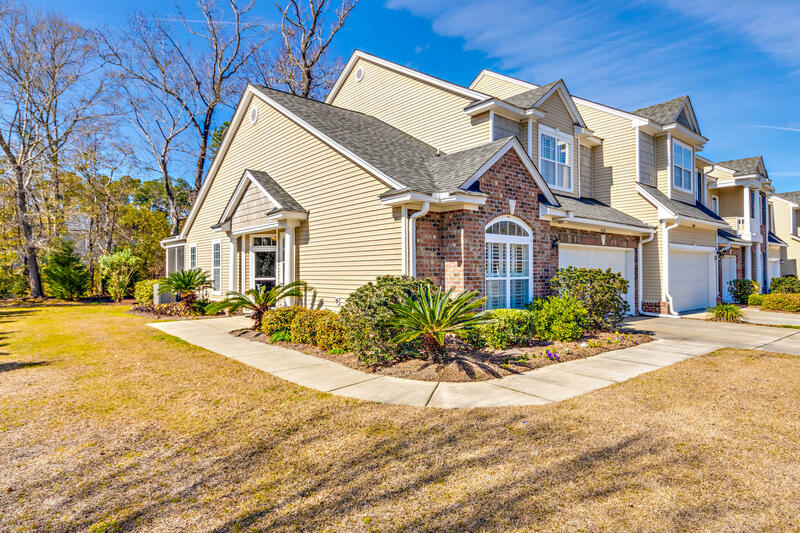 Monthly regime fees covers common areas, pool, lawn care, termite bond/pest control, and roof reserve.